The web server also retrieves the information when it wants. Even though its purpose is to maximize user experience on these sites, certain people find it intrusive, and seek to block them. And that is exactly why you are here. The steps below will show you how to delete cookies from iOS 11 iPhone. Scroll to “Safari” and tap on it. Find “Block Cookies” and select the option. From the four options presented, Always Block, Allow from Current Website Only, Allow from Websites I visit, and Always Allow, choose “Always Block”. This permanently blocks the cookies and website data on your iOS 11 iPhone/iPad during your web sessions. 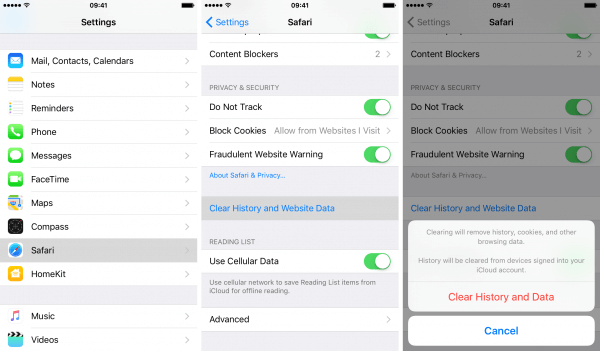 Follow the steps below to delete all Safari cookies in iOS 11 iPhone/iPad. Also select Clear History and Data from the next prompt. 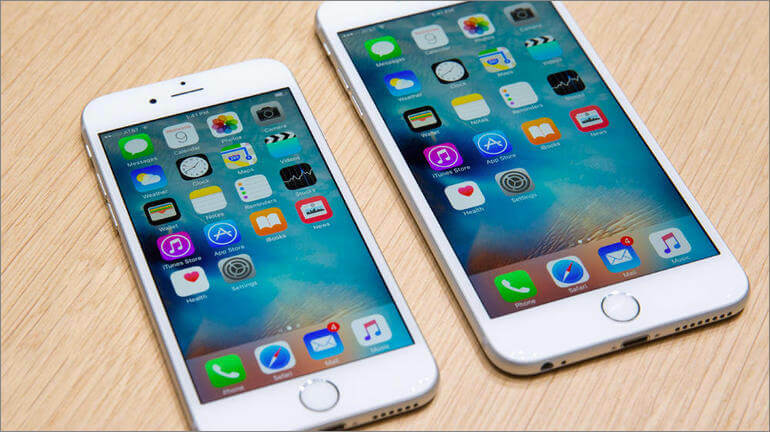 This will delete all the history, cookies and other browsing data stored on your iPhone. Perhaps you only want to navigate to a particular site without storing your history or web session. You can use the private browsing mode, also known as Incognito. To do this in Safari, do the following. In Safari browser, select the tab switch icon at the bottom most right corner. Tap the “Private” button at the bottom most left corner. Tap “Done” button to confirm. Safari will not remember anything about your browsing session on iOS 11 iPHone and iPad. All said and done, there is a safer way to erase cookies on iOS 11. iMyFone iOS Eraser / iMyFone iOS Eraser for Mac has the option to completely erase all the iOS 11 cookies without any chance of recovery, including the existing and preciously deleted cookies. iMyFone iOS Eraser is one of the best iOS erasers in the world. It is all-in-solution for storage saving and privacy protection. Apart from erasing the private iOS cookies from iPhone/iPad, it also has other amazing features. 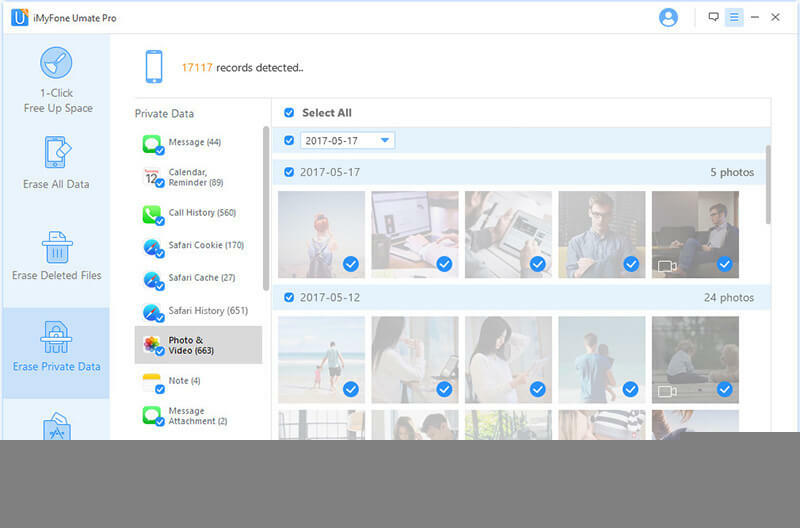 Scan and completely erase all the private data on your iOS devices. All iOS files are supported, like photo, message, contact, call history, voice memo, Safari history, etc. Find out and erase the preciously deleted files. 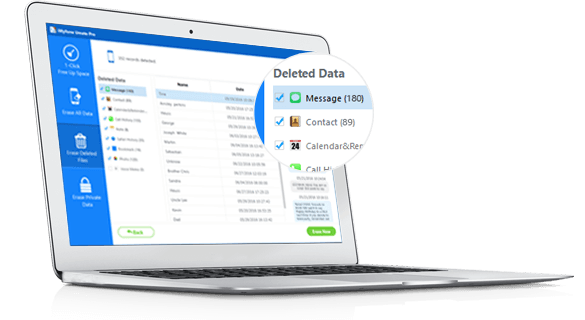 Preview first before erasing, avoiding some important data or files would be mistakenly erased. 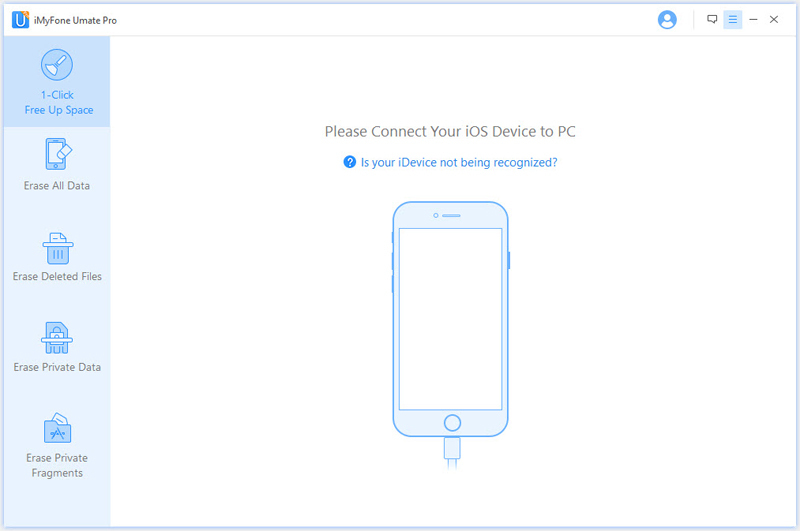 1-Click to free up huge space on your iOS device. Step 1: Install iMyFone iOS Eraser on your Mac or Win computer and connect your iPHone to it. 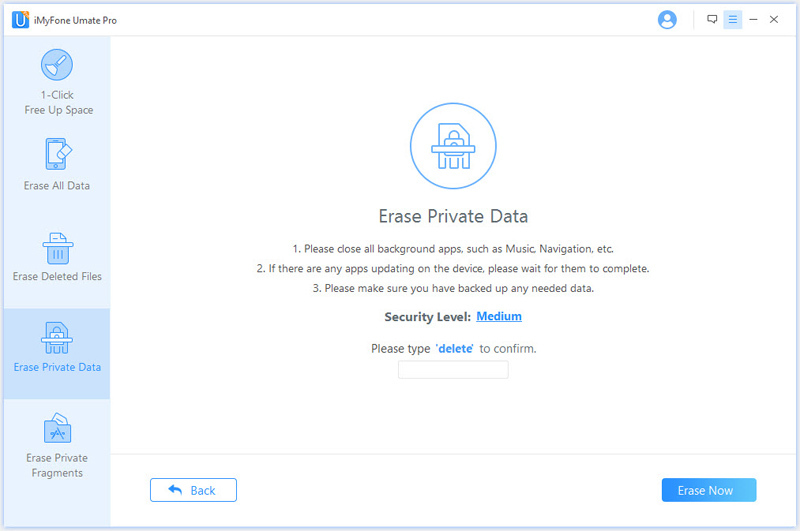 Step 2: Go to Erase Private Data on the software and hit Scan (go to Erase Deleted Files when you want to erase deleted cookies). When it finishes, check Safari Cookie and you can preview first. Check Select All or choose the one you don’t need and hit Erase Now. Step 3:Type “delete” into the box to confirm and hit Erase Now. Different users may choose different methods according to their different needs. 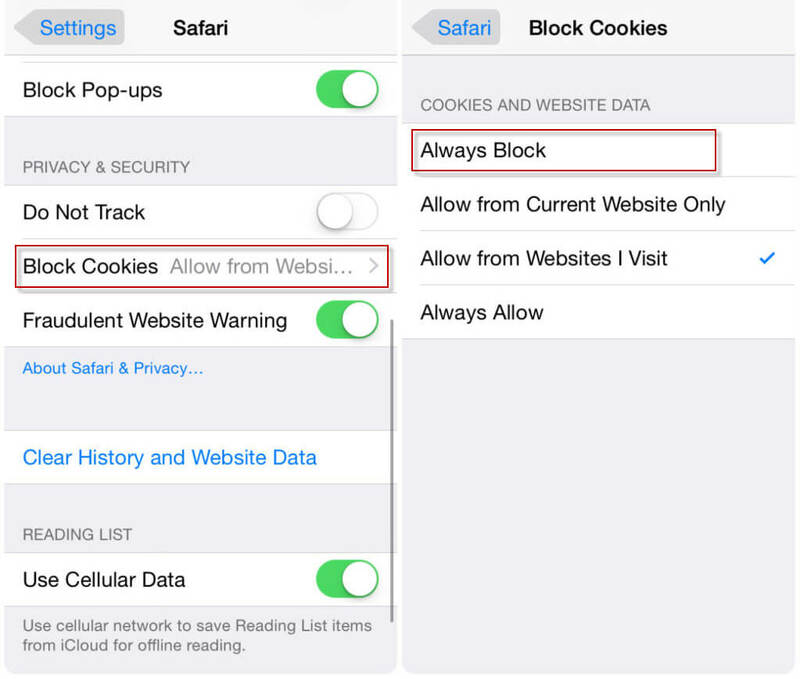 Blocking iOS 11 cookies may be suitable for those who just get the iPhone and never use the Safari browsing. Deleting cookies through Settings may be a straightforward way. All the cookies, history or data of Safari will be deleted, even the important files. Using the private mode is also suitable for new iPPhone 8. Besides, when you apply private date, Safari will not remember the autofill information so you need to fill in every time. Using iMyFone iOS Eraser may be the safest method. It can erase both existing and deleted cookies with zero chance of recovery. You can preview iOS 11 cookies first, avoiding you may mistakenly erase some important things.